I am in need of a resource for Simmons crib hardware replacements. The crib parts I need are for a Simmons Crib Model # 1403 89 298. Here is a list of the parts and hardware that I specifically need. If anyone has any suggestions for a resource that may have the items I am looking for in stock, please contact me using the space below (including your contact information should I need to get in touch with you!). 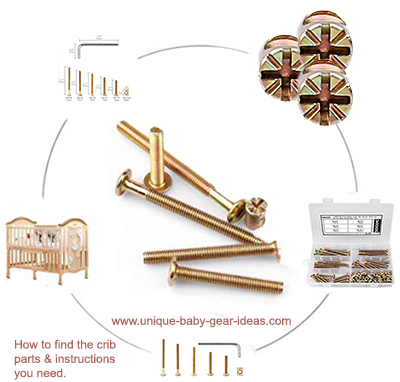 Unique Baby Gear Ideas encourages our visitors to share their resources for Simmons crib replacement parts, make us aware of crib recalls and to consider writing reviews of the cribs that you have experience with.